Funded through proceeds from the New Hampshire SPCA’s Annual Auction in 2016, a Maddie’s Fund Grant and support from the Fuller Foundation, the Community Wellness Program is specifically designed for individuals with pets living in affordable housing and retirement communities that might not otherwise be able to obtain regular wellness checks for their furry companions. 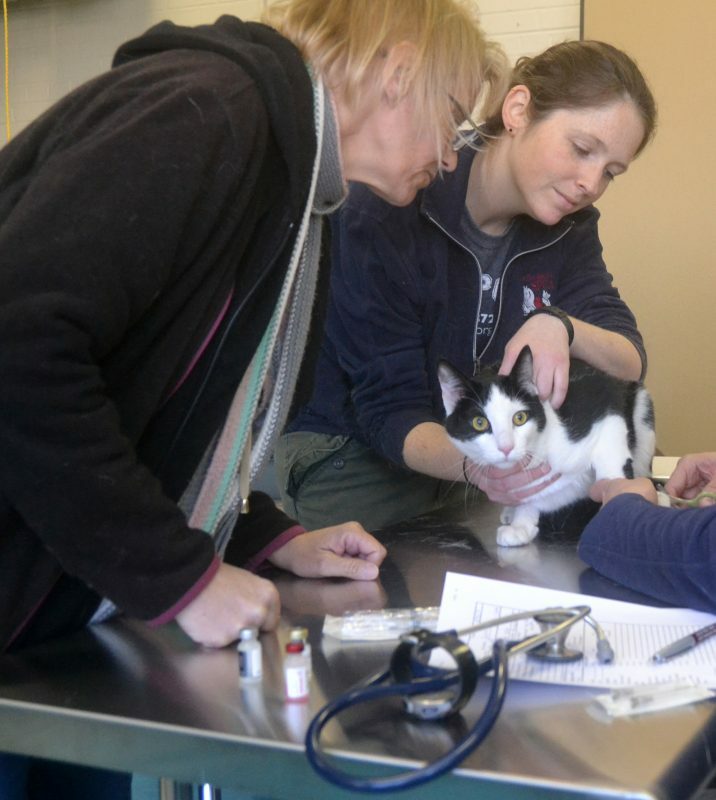 We work with Resident Service Coordinators within housing communities and associations in the NH seacoast to coordinate a clinic day to provide wellness exams, vaccines and other preventative services for pets. While not a replacement for a visit to a veterinarian to treat an emergency, illness, or disease, the Community Wellness Program can offer an overall exam and vaccines to help maintain the health of companion animals and the quality of life for their owners.